The Hardy Marksman Spinning Rod is a state of the art rod that combines classic design with the very latest in blank technology. It features a carefully tailored action to allow easy casting of a wide range of lures; from Tobys to Rapalas and beyond. The Marksman also has massive strength in reserve so when you connect with a big migratory fish, you can be confident the rod will subdue any big lunges for freedom. 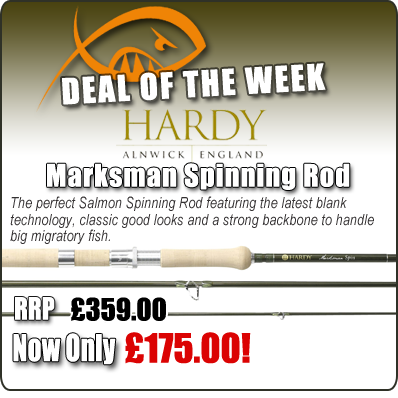 With a limited stock on offer, you won't want to miss out on this fantastic deal so don't hesitate, grab your Marksman Spinning Rod today! !